It’s a topic that’s gaining more and more attention – our plastic problem. That’s because scientists are discovering the extent of the impact that our relationship with plastic is having on the environment and ocean wildlife. And thanks to social media and documentaries like (my hero!) Sir David Attenborough’s Blue Planet, this sobering message is being brought to the public’s attention. Being aware of the facts is always the first part of any solution, and fortunately the public are responding by making positive changes in consumer habits and we’re slowly turning the wheels of change. Still, the dream of having a plastic-free society is a long way off, and there are so many more things we can do that can make a huge difference that not many people (including myself until recently) are aware of yet. So I’ve made a five-step list of everyday things we can do to reduce our plastic consumption and make truly positive impacts on our environment and the wildlife we’re so lucky to share our planet with. *please note I’ve included some links to companies I use or have heard of, only to make it easy for you to find alternatives to plastic products you might be using. I’m not being paid or sponsored by any of them. What better place to start your plastic reduction than at home? After all, that’s where most people use the majority of their plastics. Thankfully, most of us are recycling now, but reducing our use of plastic in the first place is far better, because recycling itself still uses energy and resources, and some plastics (like black plastic and plastic films) aren't widely recycled in the UK. Soap The bottles used for our soaps are a significant contributor to our household plastic use and the fiddly pumps or bottle tops are often not recyclable. 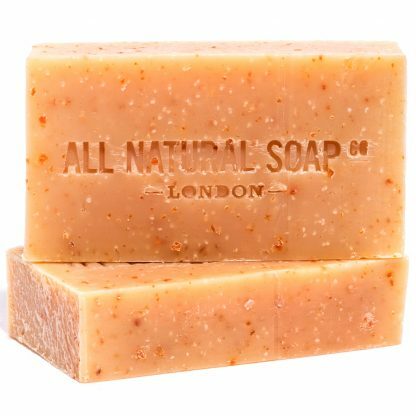 Did you know there are some awesome brands out there like All Natural Soap Co making soap bars that smell just amazing, and are vegan, cruelty-free and zero plastic? They last longer than liquid soaps, and having an artisan bar of soap by your sink / shower looks way nicer than plastic bottles. Shampoo Even shampoo bottles can be replaced by shampoo bars – Friendly Soap make shampoo bars (as well as incredible soap bars) like this lavender and geranium shampoo bar that produce a rich, velvety lather, is gentle to the skin, and nourishes your hair! Toothbrushes / toothpaste We’re supposed to replace our toothbrushes every three months. That’s four plastic sticks every year that are thrown out - times by 65million people in the UK equals far too much plastic in landfill (many toothbrushes are still not recyclable). Try switching to a bamboo toothbrush for a classy clean like these awesome ones by Bristle. And to replace the unrecyclable toothpaste tubes? Try Denttabs that come in cardboard packets, available from Anything But Plastic – just pop one in your mouth with a bit of water and voila – toothpaste! (great for travelling too as not liquid). Cling film Doing your bit by making your own lunches to take to work to avoid the plastic covered meals at the supermarket? Great! But if you’re wrapping your sarnie in unrecyclable cling film then you can go one step further and use paper sandwich bags like the ones by If You Care. I tend to reuse mine for 2-3 days as they’re pretty durable. 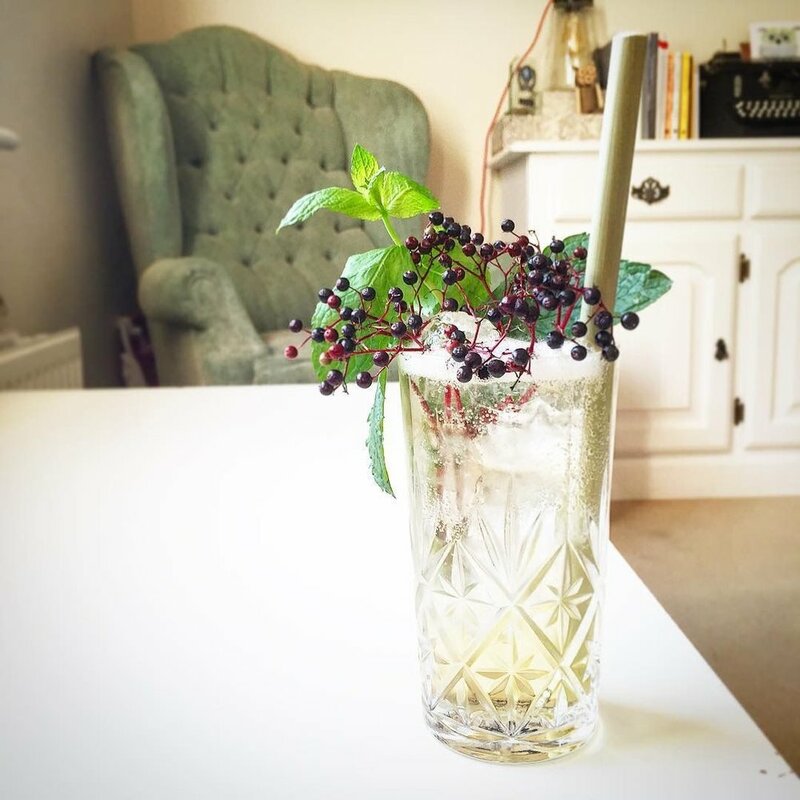 Straws Lots of the best restaurants, bars and cafes are switching to alternatives to plastic straws which is awesome, as they’re listening to our consumer demands! But what about when we make something that would really benefit from a straw at home? Try ecostrawz for when the need arises – they make reusable straws from strengthened glass, titanium, bamboo, and even wheat! A great way to impress any dinner party guest! Wherever we look in town, we're surrounded by single use plastic. But there are ways to avoid it – and the more of us who do so, the more attention the retailers will pay to our consumer demand, and will take more steps to avoid the use of plastics. Fruit and veg Wherever possible, try to grab loose fruit and veg instead of ones packaged in plastic trays. And definitely no need to use those dispenser plastic bags, your veg won’t jump out of your trolley! Bag for life Single use plastic bags are out thanks to the many petitions and campaigns in the UK. But the 10p bags aren’t much better – they tend to get used a handful of times, then start to deteriorate and get thrown away. Some supermarkets do have recycling points for old plastic bags but most end up in landfill. Try a Turtle Bag that look beautiful, will last years, and are made without any plastic at all – some are even made from recycled materials like cement bags that would have otherwise ended up in landfill... double win! Coffee cups Most take-away coffee cups are infused with polyethylene to make them waterproof and so can’t be recycled, which is why 7 million cups each day get sent to landfill in the UK alone. Why not grab an Ecoffee cup, made from bamboo which is light and lovely to drink from, with no plastic after taste. You could be quids-in too, because chains like Pret, Nero, Costa and Starbucks offer discounts of up to 50p per coffee for customers who bring their own cups. Refill shops If you’re lucky enough to be close to a shop that sells in bulk, then take advantage! For example, Zero Green Bristol is a zero-waste shop where you bring your own containers and fill them with loose products ranging from pastas and pulses to toiletries. How cool is that? Find your nearest zero-waste store in the UK on The Zero Waster website. Sustainable fashion Ask yourself this - do you really need new clothes or accessories? In my experience, people honestly don't notice if you often wear the same clothes (or if they do notice, they really don't care. If they do care, do you really want to hang out with them anyway?). If you do need clothes, try second hand either online or in shops - you're much more likely to find something unique! Or if you want to go for something new, try a brand like Rapanui who use organic cotton and bamboo along with sustainable processing, packaging, shipping, and animal-friendly inks for their awesome clothing line. Drinking plenty of water is something we should all try to do, but buying bottled water is an unsustainable solution. The UK alone uses 13 billion plastic bottles a year. Just over a half of these get recycled - the rest are sent to landfill, are littered (often ending up in the ocean), or incinerated. Reusable water bottles Grab yourself a bottle that’s made from BPA-free materials and use it again and again for years. Nalgene make really durable water bottles that are BPA-free and look great - perfect for both adventures outdoors or keeping hydrated in the office. Water filters – if you want to avoid single-use plastic bottles but are not sure about some of the compounds found in tap water like chlorine and lead, then a simple water filter could be the solution. I use a Brita filter jug and have had it for a few years now. It’s great to keep in the fridge to always have chilled water handy. The money you save on buying bottled water will soon pay for the filters that you need to replace every month or so! Refill stations Out and about and running low on water? Loads of restaurants, bars and cafés will be more than happy to fill your water bottle for you. Thousands of establishments across the UK have signed up to the Refill scheme to encourage passers-by to come in to fill up their water bottles for free. Look out for the Refill sticker in their windows or use the Refill app to find them, and they'll welcome you in! Love this idea but still want your tap water filtered? Try the trendy Bobble bottles - the reusable bottles are bpa-free and filter the water as you drink, making tap water tastier and cleaner wherever you are! If you’re doing all you can to reduce your plastic usage, it can be even more frustrating to see litter strewn across the street by less careful consumers. It certainly is for me. But changing your mindset is the key to happiness and protecting the environment. Rather than just ‘tutting’ and angrily walking past it, why not pick it up and pop it in the bin, or even better the recycling? The way I like to see it is that not only can you have a plastic-neutral day by following the steps above, you can actually be plastic-negative… you ecowarrior! Beaches obviously benefit massively from litter picking as the plastic will otherwise wash into the ocean, where it can cause visible harm to ocean wildlife (such as getting strangled or caught up in six-pack rings) as well as less obvious harm (breaking down over years into micro-plastics which are then ingested by fish). The impact of making these changes yourself is unimaginably positive. But making our voices heard and helping to facilitate policy changes has the potential to make an even bigger difference – think how successful the bans on single use plastic bags and micro-beads have been. Neither of which would’ve happened if it weren’t for petitions and campaigns. It really only takes a few seconds to sign a petition on the UK parliament website – just search 'plastic' and see which current petitions you’re interested in, then sign and share them to spread the word. At 10,000 signatures the government will respond to a petition, and at 100,000 signatures the petition will be considered for debate in parliament! You could sign and share this petition to ban single use plastic straws and cutlery, or this one calling to install standard microfiber filters in washing machines. While you’re on the website, why not search for other issues that may be important to you, for example perhaps protecting our bee population or protecting race horses from abuse and death. I'm by no means perfect when it comes to my plastic use and there are still times when I buy products that are either made from or packaged in plastic. But I'm trying my best within reason, and that's all anyone can do! If you have any tips that I've missed then please share them in the comments below. For example I'd love to hear about how you try and reduce plastic use in your office / working environment! If you're vegan or vegetarian and you live in London, then like me you'll probably delight in the fact that there's now a regular market, open every Saturday from 10am - 4pm, dedicated to incredible vegan street food. Or, if you're visiting London, a trip here should definitely be on the itinerary, because it's like coming to a free mini vegan food festival, except you can just wander in and out at any time, and with a really laid-back atmosphere. Pretty much every taste or craving is catered for, almost to the point where there's TOO MUCH to choose from. The solution to this? Bring as many friends as possible so you can all try something different and sample a bit of each other's food. Or just keep coming back, that works too. To help you decide what to opt for, or just to inspire you to give this little gem a visit, here's a (non-exhaustive) list of some of the delights on offer. Eat chay - In Vietnamese, chay means vegan. Their food is an incredible fusion of punchy, fresh flavours, with a modern twist on Vietnamese and Korean classics. For example, their Korean BBQ banh mi (baguette) stuffed with incredibly ‘meaty’ grilled soy based strips, pickled carrots, fresh herbs, mushroom walnut pate, spicy mayo, and crispy onions is street food at its finest. Also on the menu is a lemongrass Chick'n banh mi and a hearty Vietnamese noodle salad, so there's something for everyone. Kally Cooks – Indian food is one of my favourite cuisines, and what better example of how to do it properly than Kally Cooks. 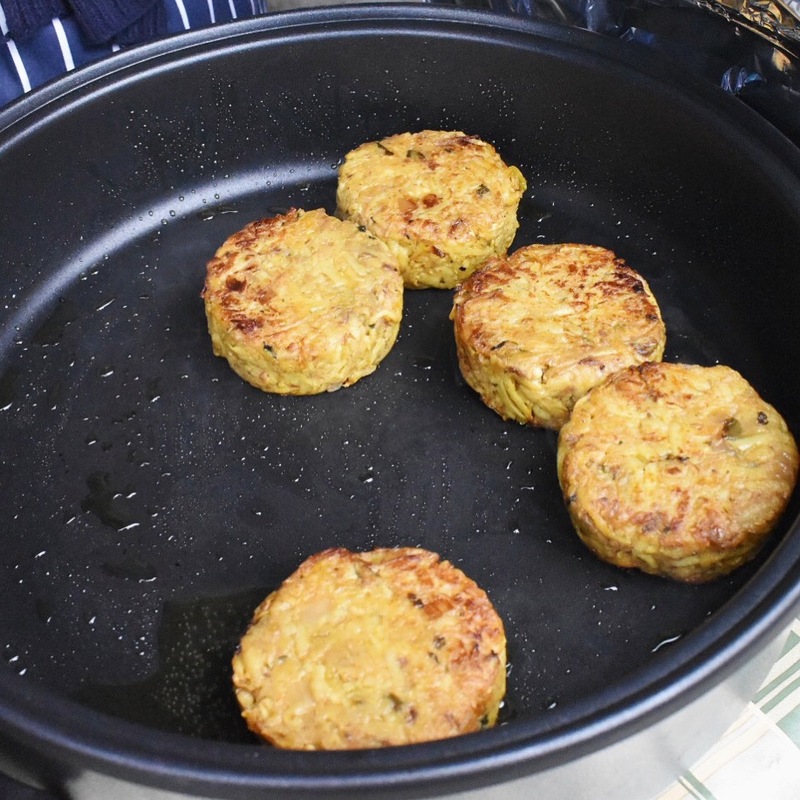 Offering up a street food feast - you can get cauliflower and quinoa spiced cakes, perfectly tender rice, rich aubergine puree (slow-cooked for six hours), homemade coriander & apple chutney, plus a mint, lemon & carrot yoghurt dressing, all for just £7.50. It's great to know that while Kally creates the most amazing-tasting food, she also commits to ensuring the meals are as healthy and nourishing as possible. What's more, Kally gives employment training and mentoring opportunities to women who have received hardship - way to go Kally! I am nut ok – these spreads, made from nuts and a few other simple ingredients, are pure genius. They're seriously tasty, and can be used to spread on crackers, as a dip for pitta / veg, as a flavoursome sandwich filling, or pretty much any other occasion where you'd otherwise use hummus or a cheese spread. They have three distinctly different flavours: ‘Cashewlater’ – a creamy, cheesy, cashew spread; ‘Smokeydokey’ – a bold-flavoured (and a bit spicy) smoked cashew cream; and my personal favourite ‘Foiegeddaboutit’ – a walnut and mushroom pate, flavoured with a hint of truffle for a really rich flavour. They have free tasting samples on offer so you can try them out before choosing your favourite to buy and take home with you. We are ima – think of vegan sushi and you probably think of avocado or cucumber rolls. And, while there's nothing wrong with that, thanks to ima vegan sushi can be way more exciting and imaginative. They create beautiful sushi 'burritos' stuffed with BBQ pulled sweet potato or Katsu cauliflower. And their fresh sushi sets contain awesome flavour combinations like sweet chilli tofu, sweet potato & avocado, and asparagus with their special pickle spread. 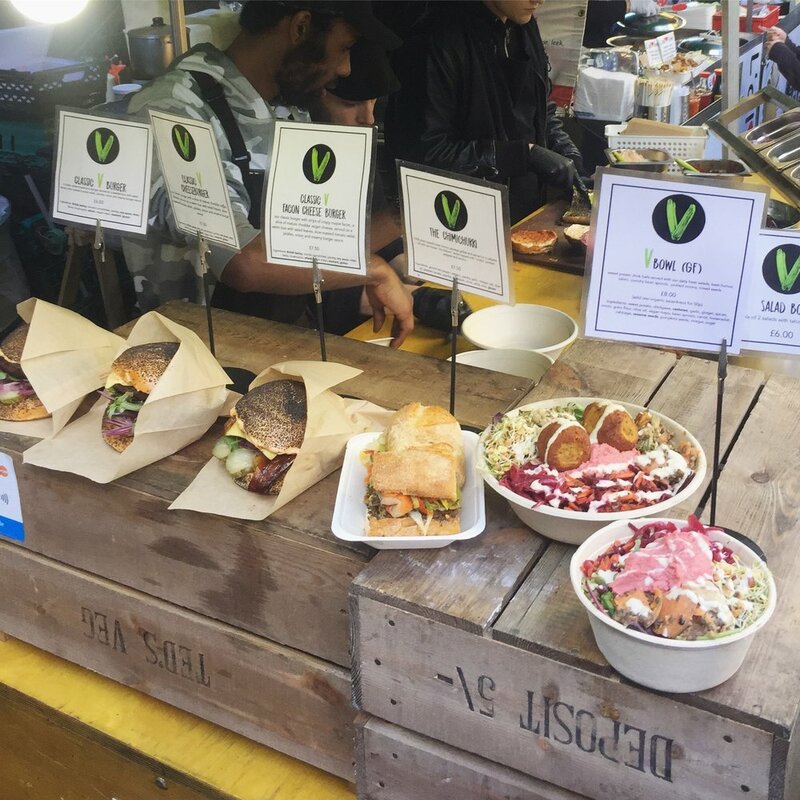 Veeg London – these guys create healthy and tasty vegan street food dishes, centred around seasonal, locally sourced vegetables, and packed with punchy herbs and spices. Their food is inspired from around the globe, with incredible dishes such as: butternut squash and chickpea curry; vegan meatballs in tomato, basil and oregano sauce; and Moroccan vegetable tagine – all served on bulgar wheat or soft Jasmine rice for £6. The perfect kind of food to thoroughly warm and nourish you, just what we need at this time of year! Dees Table - we all need some more Jamaican sunshine in our lives, and Dee's Table comes as close to transporting us to paradise as we could possibly hope while in wintery London. They serve up modern vegan Jamaican food that's to die for. Grab some vegan jerk 'ribs' with ginger beer BBQ sauce, on a coco-roti stuffed with plantain and callaloo. 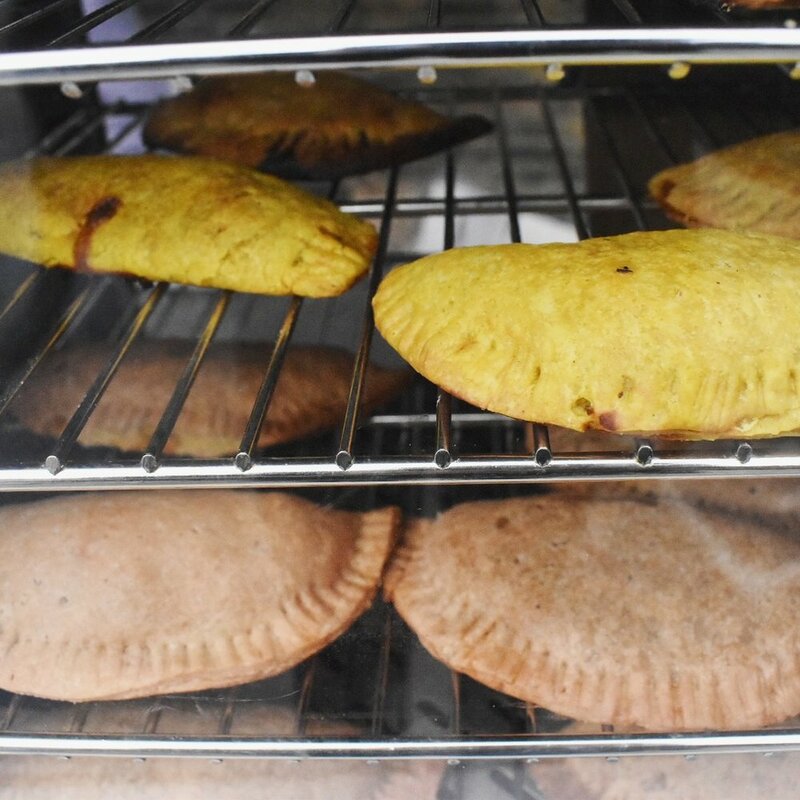 You can also devour some warming red pea soup or their deliciously flaky patties filled with perfectly spiced sweet potato and lentils. Leles London – while Lele's cafe is open every day on Lower Clapton Road serving up delicious vegan food and coffee, they also have a stall at Broadway Vegan Market (and Victoria Park Market on Sundays) selling jaw-dropping patisserie cakes and tarts that are worthy of any high-end window display in Paris. Grab something sweet to round off your street food experience or buy some treats to take home with you - they have a great selection for any taste - fruity tarts, rich chocolatey brownies, and spectacular cakes like the Oreo raw cheesecake that was stopping everyone (including me) in their tracks! A match made in heaven – great hummus and pitta chips for dipping. ChicP makes amazingly healthy and colourful vegetable hummus. And the best part? Eating ChicP hummus is helping to tackle food waste, because the dips are made from surplus or wonky raw vegetables that would otherwise be thrown away. Flavours include: carrot, ginger and turmeric; beetroot, horseradish and sage; and a mega herby green hummus. Use it as a spread, dolloped on salads, or best of all, dipped with Soffles Pitta Chips - bags of roasted pitta chips in amazing flavours: chilli & garlic; or rosemary and thyme. They're made with simple fresh ingredients and then oven roasted in a little olive oil until crunchy... genius! Nini organics – Vegan Broadway Market has impressive goodies to offer other than food. You can also take away some indulgent vegan beauty products like Nini's 100% natural and organic oils, balms, scrubs, and masks. Their original products are tested on themselves and other Nini fans – never on animals, plus everything's hand-made on a small scale so they have 100% control over quality. Everyone deserves some pampering now and again, especially in the middle of winter, so why not do it in organic, cruelty-free style! Liha beauty - this amazing duo combine the rich botanical life of West Africa with traditional English aromatherapy. And I love that they just make a few products - because you know that they can concentrate on making those few products really, really good. Treat yourself or get someone a unique gift such as their shea butter, idan oil, or their handmade African black soap. These natural and organic products are handmade in small batches in Hackney (and Cheltenham), they're 100% vegan, and made with simple natural ingredients that your skin will love. Jackpot nut spread – double roasted salted peanuts and a little rapeseed oil are the only simple ingredients that go into this delicious PB. The result is an amazing natural flavour and a unique creamy consistency. And guess what? Jackpot also supports the Music Venue Trust, giving the local live music community a welcome boost. Double win! Natural born wine – all of this shopping and eating leaving you in need of a little tipple? Well you're in luck because Natural Born Wine is dedicated to finding and celebrating biodynamic and natural wines from around the world. I love how each bottle comes with a story telling the tales of origins and the growers, with information about the environmental and ethical choices they’ve made throughout the production. We should all pay more attention to how and where our food and drinks are made. It helps that each one is delicious too! You might also be impressed with the amazing range of vegan food available at London Borough Market. Or planning a trip to beautiful Bath? 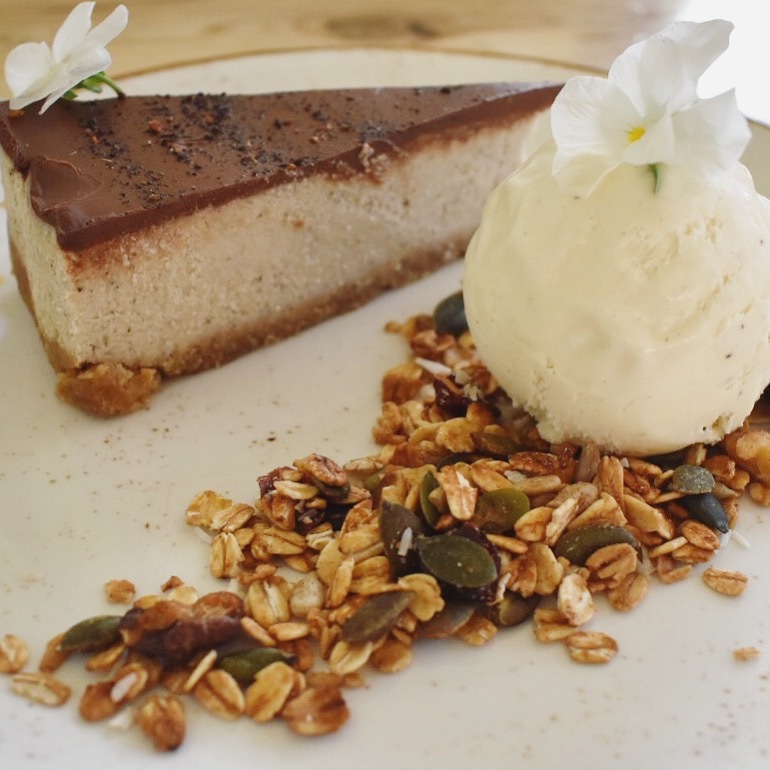 Check out my guide to the vegan and vegetarian restaurants, cafes and shops in Bath! 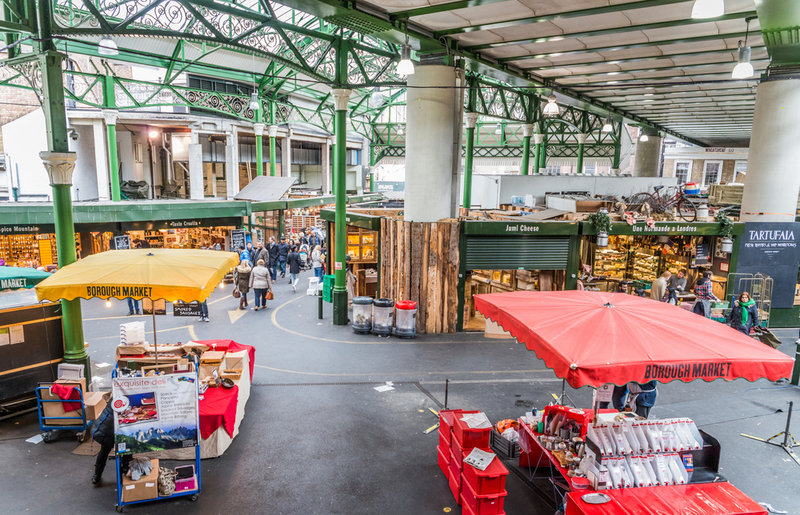 Borough Market is London's oldest food market, dating back over 1000 years. You can feel the history and heritage as you meander around the food stalls, but that doesn't take away from the bustling and dynamic energy of this ever-evolving market. I've not been anywhere else in the world that brings together so many regional cuisines and cultures from around the globe. It's something I highly recommend to anyone visiting London, and if you're a local like me, this is a treasure you should take advantage of as often as you can. 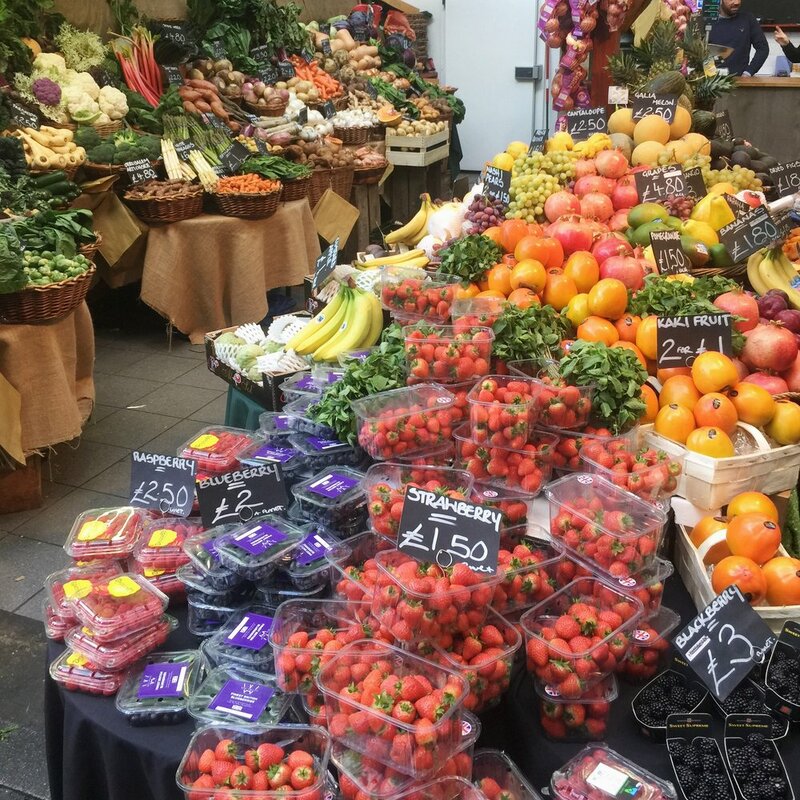 Coming to Borough Market as a vegan may seem a little daunting at first glance - there are a lot of stalls selling meats, fish, cheese, and meaty street food. But spend a little time exploring and you'll soon realise that there's more vegan food available than you could possibly sample even if you came every day for a week. And if, like me, you worry that you might panic buy from the first vegan stall you see - and then get food envy as you discover all the other cuisines you could've gone for - then you should find this vegan guide to the food stalls at Borough Market pretty useful. One of the first vegan stalls you may see, partly because the queue usually snakes well around the corner, is The Big V. Selling incredible 100% vegan seitan mushroom burgers (with optional vegan cheese and fake bacon, aka 'facon'). These vegan burgers are famous and it's understandable why people line up to get their hands on one for lunch - the burger patties look and taste incredibly 'meaty' and topped with slow roasted tomato relish, house burger sauce, pickles and red onion, they really are the perfect burger experience. They also sell vegan hotdogs (classic garlic sausage or chimichurri) and 'v-bowls' so there's something for everyone. Koshari Street, as the name implies, sells koshari - a delicious vegan staple in Egypt that consists of a pot of rice, pasta, lentils and chickpeas topped with zesty tomato sauce, caramelised onions and doqqa... a crumbly spicy mix. Sold on roadside stalls and restaurants throughout Egypt, this national dish is one you have to try! Everything Koshari Street sells at Borough Market is vegan or vegetarian, with other options including delicious Egyptian salads and falafels. The staff are super-friendly and very happy to answer any questions you have about their ingredients. 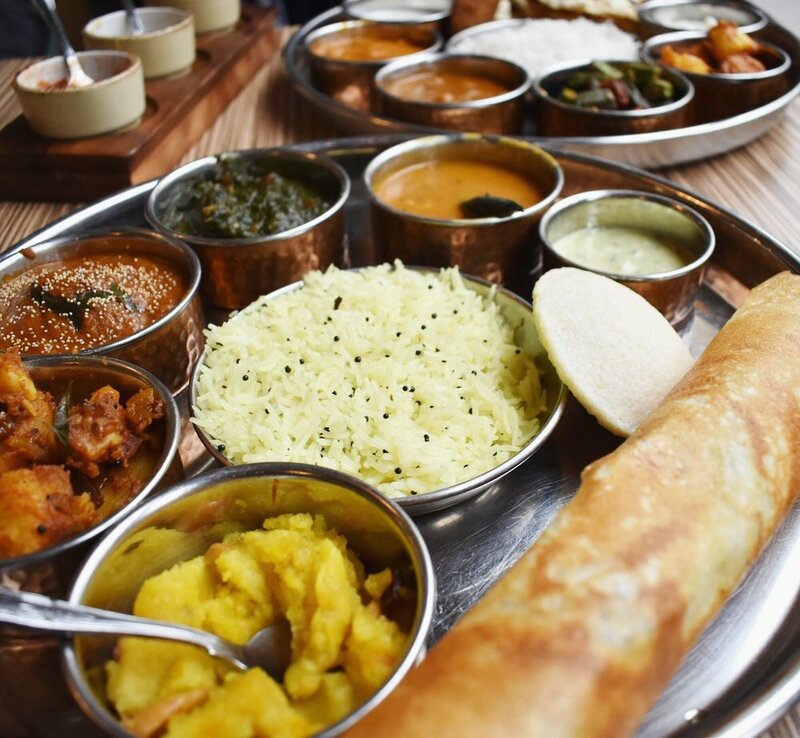 For something to really warm your soul there's Gujarati Rasoi - a vegetarian Indian street food stall where most of their dishes are in fact vegan. Their food is best described as Indian with a twist, and you can tell how much love and attention they put into their dishes. My favourites here are their chaat (a delicious black chickpea dish), the warming-dhal made with split mung beans, and their koftas served in a rich, spicy tomato sauce. There's also amazing middle-eastern meze served at Arabica - they have a restaurant in the market but outside they serve mouth-watering fresh meze dishes. The best lunches from here consist of a couple of dips (like their hummus and babaganoush), a couple of salads (roasted artichoke salad, tabbouleh, butterbeans in tomato sauce are favourites) and a couple of 'finger foods' (like stuffed vine leaves and Beiruti falafels). For something to satisfy your sweet tooth, why not try Sweet Roots for a vegan liquorice treat - they have a vast array of delectable liquorice sweets with the ingredients clearly displayed so you can opt for the vegan ones. You can even buy a stick of raw liquorice root to chew on! Or you could try an award winning baked treat from the Free From Bakehouse - not all their products are dairy and egg free, but they're selling an increasing number of vegan goodies so you'll find some rich and decadent vegan cakes, cookies, and brownies. To wash everything down? There are a few places serving up freshly-made vibrant juices and smoothies, and there's even a free fresh water fountain designed for topping up your water bottle to help keep you hydrated. Don't forget, you can continue stuffing your face when you get home by picking up some treats to take away with you. Loads of fresh fruit and vegetables, bakeries making fresh, warm, rustic loaves of bread in all shapes and sizes, artisan nut butters, amazing Greek olives, spices and oils, to name just a few of the products on offer. It's incredible to see so many new vegan options are appearing all the time - as with most places in the world, the demand for vegan food is fast-growing and it's clear that it's a movement that's here to stay and will continue to grow exponentially as more and more people realise that it's one of the healthiest and most compassionate ways to live. You might also be impressed with the amazing vegan food available at Broadway Vegan Market. Or planning a trip to beautiful Bath? 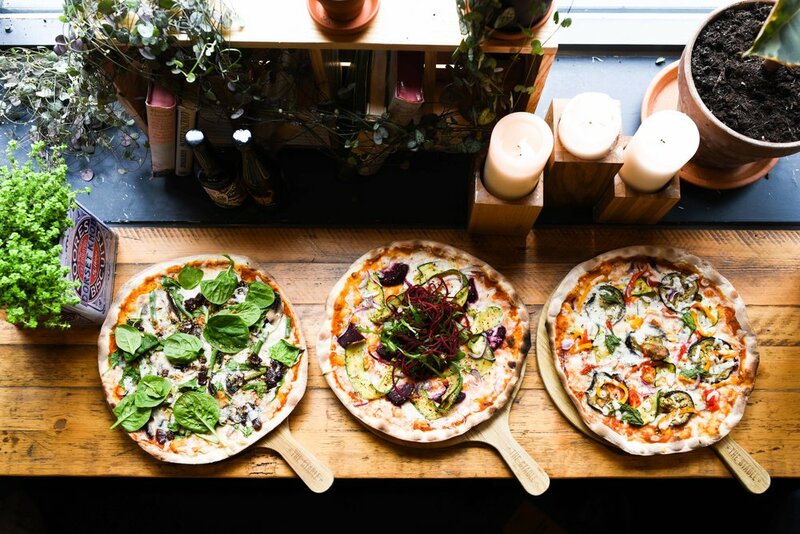 Check out my guide to the vegan and vegetarian restaurants, cafes and shops in Bath. Can you guess how much of all global food that is produced gets wasted? 5%? 10%? Not even close – shockingly, it’s ONE THIRD (1). 1. Shop smart. Probably the most important change we can make to reduce food waste is by planning ahead for our shopping. Use meal plans and make lists for what you need, thinking about recipes that use shared ingredients so you can use everything up (e.g. if you buy a punnet of mushrooms but only need a few to top a pizza, plan to use the rest in a soup, stew etc). Definitely don't go shopping hungry either, as research shows we make unhealthy food choices when we're hungry (2). 2. Use a Sharpie. We all know how easy it is to forget when we opened something: that tube of tomato concentrate says use within two weeks of opening but can’t remember if it was opened two days or two months ago?! Keep a Sharpie handy in the kitchen and write the date on that jar / tube / carton when you open it as a handy reminder. You can also tape sticky notes to your frozen portions so you know when you made them, and more importantly identify what on earth they are! 3. Optimise your fridge. Make sure your fridge is functioning properly, with tight seals, a temperature between 1-5℃, and organised in a way that keeps your fruits and vegetables separate. This is because some fruits produce ethylene, a gas which speeds up ripening and can cause other veggies to spoil faster (3). 4. Watch those dates. Remember, not all expiry dates on food are related to food safety – ‘best before’ dates are simply the manufacturers' suggestions for peak quality, and foods are still safe to eat beyond this date (as long as they look, smell, and taste ok). ‘Use by’ dates however are the ones we need to watch, as food can be unsafe beyond this date. Many foods you usually peel can be cooked with the skin on – potatoes, carrots, parsnips etc all contain nutrients in the skins that would otherwise be thrown in the bin. Just give them a quick wash first. The stalks of many veggies (like broccoli and cauliflower) are perfectly edible too, and are sometimes even the tastiest bits! The leaves of some vegetables (like carrots and beetroot) can be delicious and really healthy too – eaten raw or wilted like you would with spinach. For any scraps you don’t end up using, make a quick veggie stock by boiling a few handfuls of veggie peelings / scraps with an onion, some water, and some herbs for about 60-90 minutes, strain, and freeze for a rainy day. Notice that you’re regularly throwing away half of your loaf of bread? Chuck half of it in your freezer when you buy it, and take it out once you finish the first half! Have some bananas that you don’t think you’ll get through in time? Peel, chop, and freeze them and you’re a few steps away from having homemade ‘nice-cream’ later in the week. Leftover grapes / blueberries can be frozen to make the perfect way to cool your wine without diluting it (plus you get a fruity treat when you finish the glass). If you open a bottle of wine but don’t end up finishing it, tip the leftovers into an ice tray ready to pop into your next recipe that calls for wine, like this beetroot risotto. Let me know of any other freezer tricks you might have so we can share our collective wisdom! 7. Rotate your food. When you unpack your shopping, put the new food at the back of the shelf / fridge, and bring any older foods forward – this is standard practise in commercial kitchens as it helps remind you what you have that needs eating, and avoid foods rotting in the back of your fridge! 8. Leftovers for lunch. Sometimes these can be the best meals! If you’ve made a little too much of something or went over-board on that takeaway, store any leftovers for lunch or dinner then next day. Even if you think there’s not enough to save, just a couple of spoons of leftovers can be padded out with some toast to make a frugal but wonderful meal. 9. ‘Use-it-up’ meals. Once a week, try to make a meal using random bits of food you have lying around, including fresh produce and / or store cupboard staples that are nearing the end of their shelf-life. 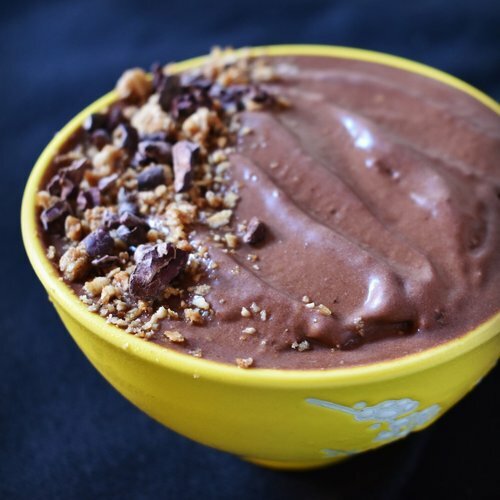 It’s a great way to use up food that might otherwise have been thrown away, and you never know – you might come up with a brilliant new creation or food combo! 10. Compost / donate. 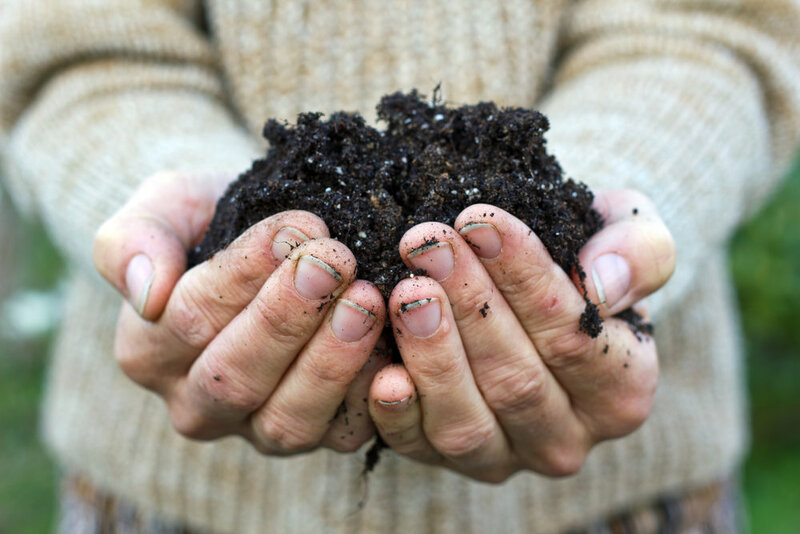 Lastly, if you can’t avoid throwing away food, try your hand at composting – your garden will love you for it! It produces some really nutrient-rich soil and it also means your bin doesn’t get as smelly with old food. If you have any jars or tins of food nearing the end of their shelf-life that you don’t think you’ll use in time, donate them to your local foodbank and help someone who can’t afford to buy food. 2. Tal, A., & Wansink, B. (2013). FaWening fas4ng: Hungry grocery shoppers buy more calories, not more food. JAMA Internal Medicine, 173(12), 1146-1148. The mark of a good restaurant is not necessarily its size. In fact, the complete opposite could be said to be true – some of my best dining experiences have been in some of the smaller restaurants and cafes scattered throughout London. Owners can focus their attention on creating a space with intimacy and individuality that’s hard to achieve in huge open spaces. And it's exactly the same concept when it comes to menus – a vast array of options always sounds alarm bells in my mind, as it’s hard then to give care and attention to each item on the menu. 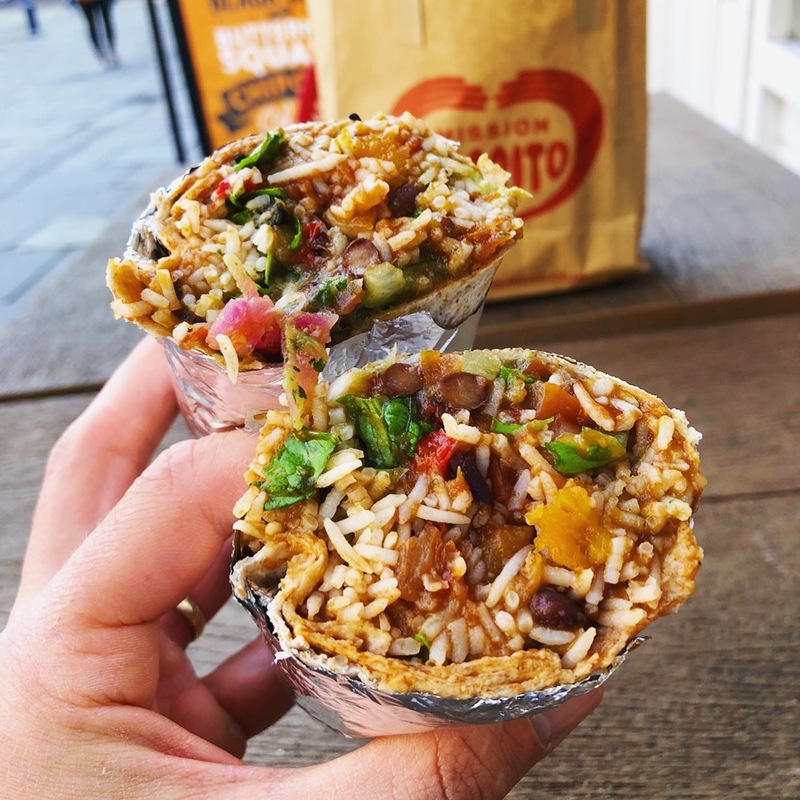 Luckily, Vegan Hippo hits the nail on the head by offering just a handful of items, done really well, to a small number of tables in this unassuming café-come-restaurant at the top of Rupert Street, Soho. Once past the eye-catching exterior (see photo below), the atmosphere inside is one of a relaxing, rustic, canteen style café – wooden surfaces, window box seats, shelves decorated with pretty farm animals – all very inviting and laid-back. Friendly and attentive staff help make you feel even more settled in. Some of the pictures had me chuckling; the hen boldly eating her vegan cookie dough without any worries of food poisoning perfectly captures one of the best unexpected bonuses of plant-based cooking! Having seen YouTube videos and blogs about BBQ jackfruit popping up over the last few months, I thought I just had to finally give it a try. It turns out Vegan Hippo first started making these over a year ago, long before the buzz started, so they were ahead of the game and must have set the trend! I’m glad I popped my jackfruit cherry in style at this place - the texture really was like pulled pork (from what I remember years ago) and the marinade they cooked it in was the perfect combination of sweet and smoky. All topped off with vegan cheese and avocado really made the perfect burger. I could’ve eaten it twice, but that is a reflection on the incredible flavours rather than the portion size. My wife had the Gyros salad wrap – Greek style soya chunks with homemade vegan tzatziki, lettuce and tomato, in a seeded wrap. The perfect combination of health, and delicious Mediterranean flavour. Both were served with crispy kale chips – adding a lovely crunch and nuttiness without the greasy stodge that a portion of fries would have added. 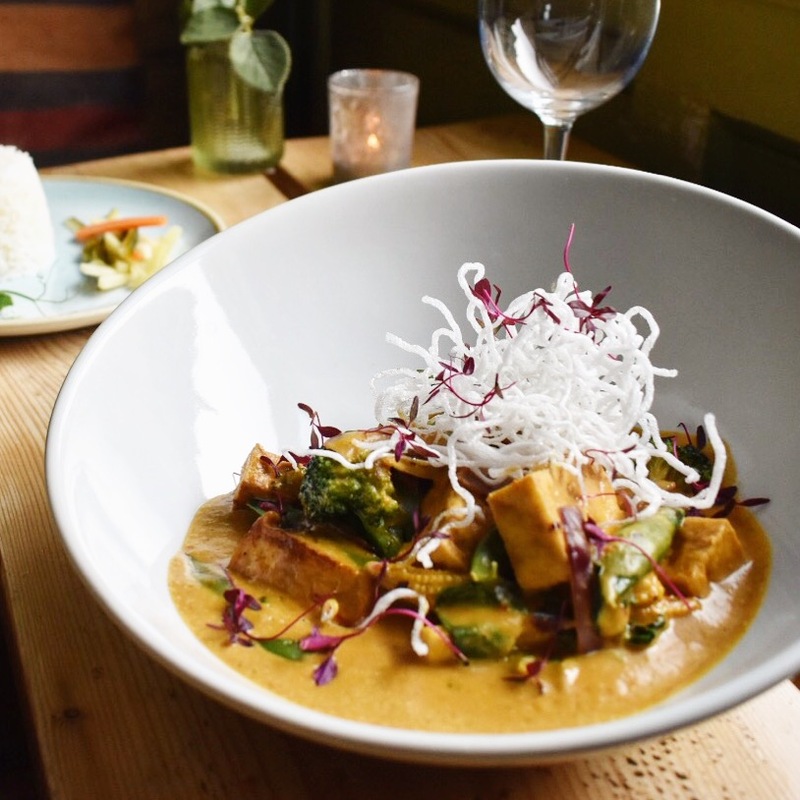 At an extremely affordable £7.50 for each of our main courses, Vegan Hippo offers outstanding value for money, and you’re bound to be impressed with the food here whether or not you’re vegan. 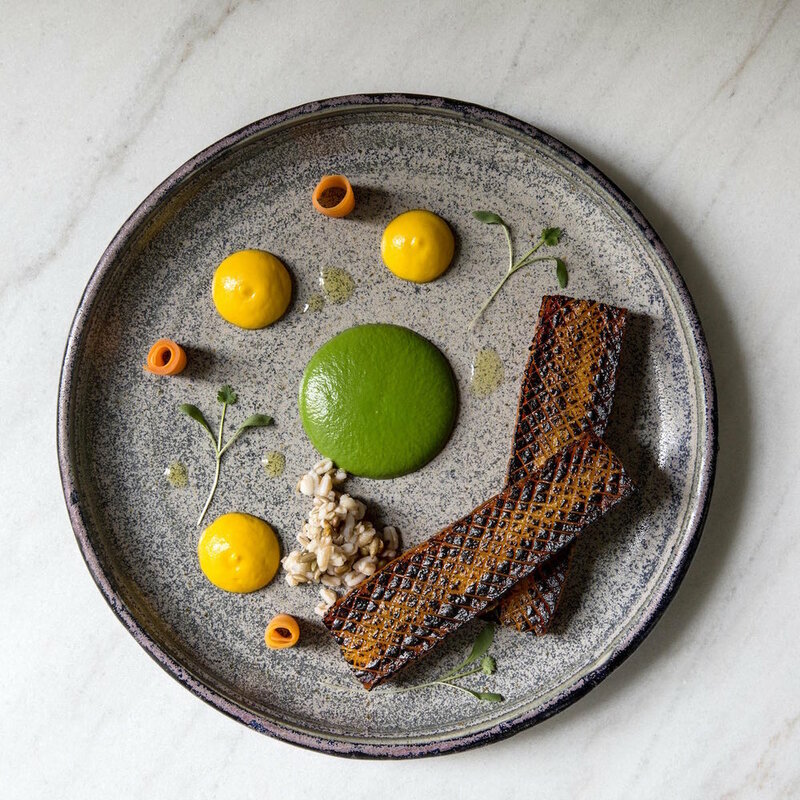 So next time you’re at the theatre or out shopping in central London, be sure to make time to pop in and try out some impressive vegan cuisine. Next stop for us – trying one of Vegan Hippo’s legendary full English breakfasts! Should We Believe The Health Headlines? Media headlines are notoriously sensationalist when it comes to health and nutrition news - they grab your attention, but they often base their content on very flawed research or completely misinterpret the results. Just Googling a simple nutritional question such as whether we should be drinking coffee, you often find yourself with very conflicting messages, headline media reports, and online ‘experts’ with a vast array of different opinions. Many of us will then leave it at that – believing that the jury must be out on that particular question. Or worse still, we can often take some of these headlines too literally and change our habits to damaging effect. But don’t you sometimes just want to sift through the rubbish and find out what evidence we should actually believe? Well, the main thing to realise is that there is a kind of hierarchy of scientific evidence, which should dictate how much notice we give any particular article / headline. 3. In vitro studies – these are studies that use isolated molecules, cells, or tissues in a test tube or petri dish to show how a mechanism might work. This can allow the components being studied to be observed more closely and conveniently than if they were in vivo (in humans or animals). However, this does not replicate the same conditions as if it were in vivo, so there is no telling that the same results would occur in the body. 4. Cross-sectional studies – this is a type of observational research that looks at data collected from a population (or a sample population) at a specific point in time. They can show if there is an association between two factors, but it’s impossible to say what is causing that association. For example, cross-sectional data may show an association between caffeine consumption and insomnia. It would be tempting to conclude that caffeine therefore causes insomnia, but can it rule out that maybe people who already suffer from insomnia simply tend to drink more caffeine to get them through the day? 5. Case control studies – this is another type of observational study, but where researchers compare patients with a disease or outcome of interest (cases) with patients without the disease or outcome (controls). They look back retrospectively to compare how frequently the exposure to a risk factor is present in each group to determine the relationship between the risk factor and the outcome. 6. Cohort studies – Working the other way round now, researchers observe a group of people without the disease or outcome of interest, to see who develops the disease or outcome over time. Using the caffeine example, none of the participants would have insomnia to start, then the researchers would observe who developed insomnia over time and whether this was associated with consuming caffeine. This can therefore give us a better idea of causality. 7. Randomised controlled studies - Now the research is getting very high quality because bias is minimised. Participants are randomly assigned to two (or more) groups to test a specific treatment or intervention. The experimental group receives an intervention (e.g. caffeine pill) and the control group receives either no intervention or an alternative intervention. Ideally this alternative would be a placebo (such as a sugar pill) so that the participants do not know which group they are in to reduce bias – this is known as ‘blinding’ the trial. ‘Double blinding’ the trial means even the researchers don’t know which participants receive the treatment so they cannot even unintentionally influence their outcome. 8. Meta analyses and systematic reviews – these are the 'gold standard' of research and we should base our answers on the outcomes of these, where they exist. They take a defined research question, and use systematic methods to identify all of the relevant studies that meet the strict quality criteria. Meta analyses then combine the results from these numerous studies to estimate the overall effect of a treatment / intervention. This provides us with an average result of a number of studies amounting to a large number of participants - sometimes tens or even hundreds of thousands. Now that you know which types of evidence to look out for and which to ignore, how can we go about looking for these kind of research papers? Well, they tend to be published as part of scientific journals, which are available online. If you type Google Scholar into your browser, you can use this search engine specifically designed to browse scientific journals for free. Here are some great tips on how to get the most out of your searching. Unfortunately, many journals require a paid subscription to view the full articles. However, every paper has an abstract (an outline of the research including their main findings) available to view which usually provides enough information to answer your question. If you wanted to then go on to read the paper in full then you could check whether your local library has access to the journal, or if you are studying then check if your school, college, or university offers access. But, perhaps most importantly, you now know whether to take a media headline or online article seriously. If they refer to, for example, just one cross-sectional study, then you should take their interpretation with a pinch of salt. If however they base their news on a meta-analysis, then you can be pretty sure that this is some of the best evidence we have available on a given topic. Sprouting has got to be one of the most satisfyingly easy things to do. You essentially just take a seed, grain, or bean, and induce the germination process, resulting in handfuls of 'mini plants' that are really healthy and amazingly versatile. You can grow them any time of year, just on your windowsill. They hardly take up any space, and don't need any soil, so you don't even get your hands dirty! Depending on the seed you use, they only take 3-5 days to mature, so you can be munching down your home grown creation within a week. The nutrients vary depending on which seed you decide to sprout. But most sprouts are a great source of antioxidants, many vitamins and minerals, fibre, and protein. Allowing the seeds to germinate also neutralises the phytic acid, meaning the iron, zinc and calcium are more easily absorbed. So sprouts are incredibly nutrient dense. In fact, one cup of mung bean sprouts has 3.6g of protein - not bad for a quick snack with only 30 calories. Soaking. Inspect the seeds and discard any broken ones. Fill a glass jar 1/4 full with the seeds, then rinse and drain. Then top jar up with water, screw on the lid, and leave seeds to soak. Refer to the table below for the soaking times of some of the most popular sprouting seeds. Rinsing. After soaking, drain the water, and rinse the seeds thoroughly, until the water becomes clear. Then instead of using the lid, stretch the cloth across the top and secure in place with elastic band. Turn the jar upside down at a 45 degree angle, and place in a bowl, so that excess water can drain, but air can circulate into the jar through the mesh. Harvesting. Using the timings in the table below, repeat the rinsing process at least twice a day until the sprouts have reached up to 2 inches tall, or until they have sprouted greens. When they're ready, rinse and drain one last time, then keep in the jar with the lid back on in the fridge for up to 2-3 days. As with any fresh produce that is consumed raw, there is a chance of food-bourne illnesses such as E coli. or Listeria, and if present in the seeds, these bacteria grow well in warm or humid conditions. Therefore it is advised to buy high quality seeds and not to eat raw sprouts in pregnancy, infancy, or old age. 1. Offer to bring a dish. Call ahead – good friends will probably know what you do / don’t eat, but it’s still nice to offer to bring something to save them having to prepare a separate meal for you. Make something truly delicious for other guests to try and you may even get them thinking about cooking more veggie food! 2. If your host is keen to cook for you, provide recipes / ideas. Your host may want to cook something vegan for you, in which case you can offer to send them some recipes, to save them time trawling the internet for suitable dishes. Go for easy, quick recipes with cheap ingredients, so you know your host isn’t slaving away for hours or breaking the bank to cater for you. 3. Bring a vegan dessert. 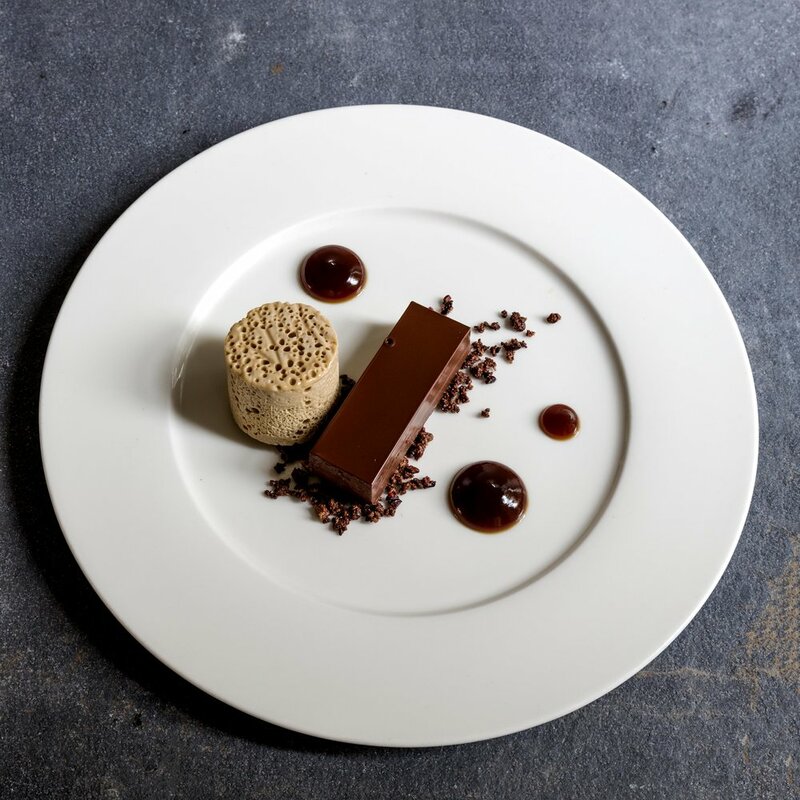 Even if your host is happy to cook for you, there’s a good chance they may forget dietary requirements when it comes to pudding. Bringing some tasty vegan cookies or brownies is a lovely gift to bring to a dinner party for your host to keep, and can be more personal than a bottle of wine. And if their dessert turns out to be steeped in butter, cream, or eggs, I’m sure they'll be happy to share some of their gift with you!